I have been meaning to jump in and participate (on time) for #TwelveLoaves for going on a year now. I finally remembered to ask Lora how to get in on the "day of" posting, but then I had a couple of things come up that I had to post on the same days that the group would be posting...and now, here I am, FINALLY participating on time! 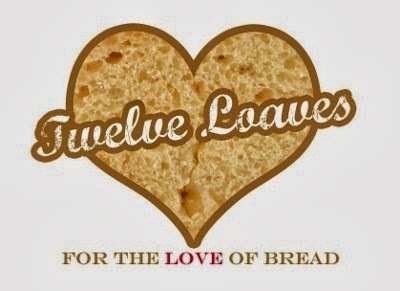 If you're not familiar with #TwelveLoaves, in a nutshell, it's a group of bloggers baking up bread together once a month for the whole year (12 months...12 loaves); each month has a theme. 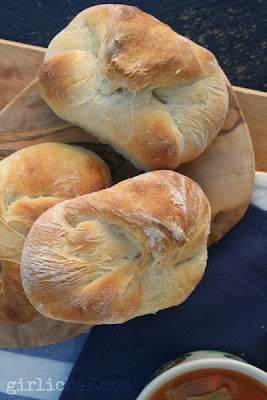 But the great thing about the group is that, even if you are unable to participate on "reveal day", you have the whole month to bake up some bread (yeasted or quick) according to the theme, post about it, and join in by adding your post to the linky tool at the bottom of the posts! This month, we were challenged to bake up a loaf of bread or rolls/buns, that contained some sort of root vegetable. This one came easy. I had been planning to bake up a batch of this rustic potato bread that my family loves so much, anyway. But instead of making loaves, I decided to try my hand at turning the dough into buns/rolls. I love the way these came together. The dough itself is a pillowy dream (though it's sticky at first, so don't let it discourage you). I made 8 large rolls, formed in the same beautifully rustic fashion that loaves are formed in. But next batch, I'm going to divide it into 16 pieces and form then into rounded rolls lined up on a baking sheet, dusted with flour...and baked in small, dinner roll fashion. 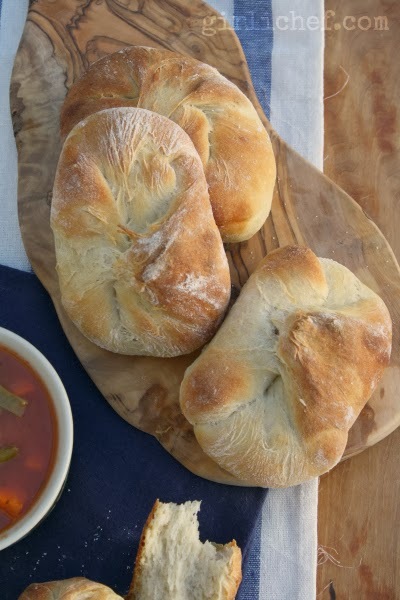 But no matter the form that this dough takes, lovers of soft, pillowy potato bread will be in heaven! These rustic potato buns start with a soft, pillowy dough. Scrub the potatoes (don't peel them) and cut into quarters. Place them into a 2-quart pot along with 2 teaspoons of the salt and cover with water. Boil until tender enough to be pierced easily with the tip of your knife. Measure out ½ cup of the potato cooking water and reserve it. Drain potatoes in a colaner and then spread out onto a cooling rack to let them (thoroughly) air dry, ~20-30 minutes. Pick off any skins that come off easily; don't worry about getting them all. If they stick, leave them - it's part of the rustic appeal. Once the potatoes are cool, stir the yeast mixture into the reserved potato water (check that temp of water lies somewhere between 80° and 90° F). Let sit until creamy, ~5 minutes. Place the cooled poatoes into the bowl of a mixer fitted with the paddle attachment. Mash them up at low speed and then add the dissolved yeast and olive oil. Mix until the liquid is incorporated into the potatoes. Switch the paddle with a dough hook attachment and continue mixing on low speed. Add flour and remaining 2 teaspoons of salt. Mix on low for 2-3 minutes and then increase speed to medium and allow to mix for 11 minutes more. The dough will seem stiff and crumbly (like pie crust dough) at first, but as it is worked, it will become soft and will start to "pool" in the bottom of the bowl (almost like a brioche dough, if you've ever made one). Cover the mixing bowl with plastic and allow to rise at room temperature for 20-30 minutes. It should rise noticeably, but not necessarily double in size. Line a baking sheet with parchment paper, and dust it with a handful of white cornmeal. Turn dough out onto a lightly floured work surface and cut into eight equal portions (a dough scraper is the best way to do this). 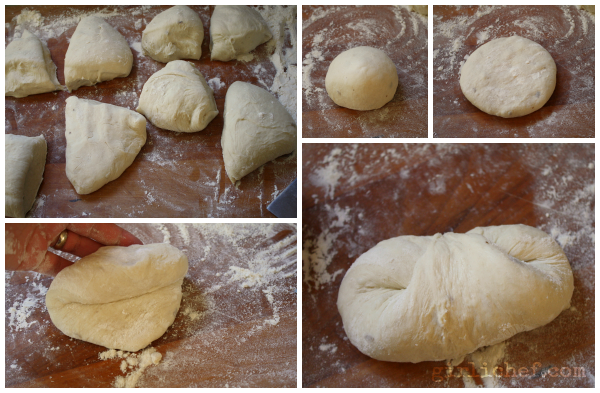 Shape each portion into a "torpedo": First shape dough into a ball and then flatten into a disc. Starting at the end furthest from you, roll dough toward you. When you're on your last roll, pull the "free end" towards you, gently stretching, and dust the edge of it with flour. Finish rolling. The shaped dough should be the shape of a torpedo or a football - if it's not, rock it back and forth a bit to taper the ends. Repeat with all of the of dough. Place the rolls/buns on the prepared sheet, seam side up. Lay a clean kitchen towel or plastic wrap gently over the loaves. Let rise at room temperature for 20 minutes. In the meantime, place a rack in the bottom half of your oven. Preheat oven to 375° F. Have a spray bottle filled with water set aside. Spray the oven walls with water and immediately close the oven door to trap steam. Remove towel or plastic from the top of the rolls/buns. Open again and quickly and carefully slide the tray into the oven. Spray the oven with water again and close the door. 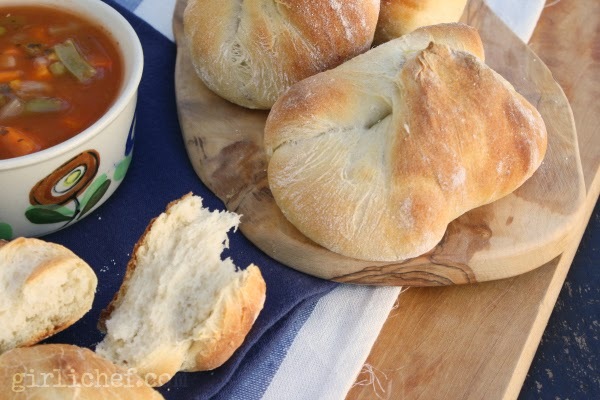 Bake for 30-35 minutes, or until the crust is brown, rolls sound hollow when tapped on the bottom, and the interior temperature is 200° F (plunge an instant-read thermometer into center of a roll/bun). Remove from oven and cool on a wire rack. Will keep at room temperature in a paper bag for a couple of days. You can also wrap the buns/rolls airtight and freeze for up to a month. Thaw, still wrapped, at room temp. If you'd like smaller rolls, you can form them into 12-16, and roll into balls, placing evenly on prepared baking sheet. Dust the tops lightly with flour. Start checking after 20-25 minutes in the oven. September was about baking with Farmers Market finds; we enjoyed it so much that we are continuing exploring what is in season, with our October baking mission: Root Vegetables. 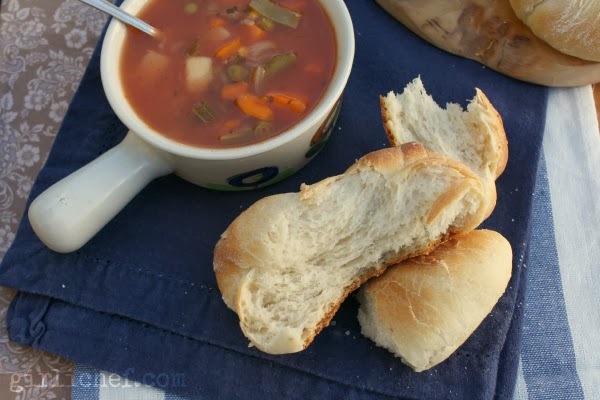 Share your October Root Vegetable Bread (yeast or quick bread) below. Let's get baking!